Through this Livelihoods programme, we aim to raise the household income of families living in poverty in a sustainable way. Many of the families that are supported through International Needs Uganda’s programmes are in desperate need of additional assistance. We support families with additional resources and support to grow their incomes through small businesses and diversifying income. combination of these. Families are also given training and resources to learn how to care for their animal, and how to obtain produce such as milk, eggs and meat. This way, families can grow both their food security and also grow their income by selling produce and offspring. 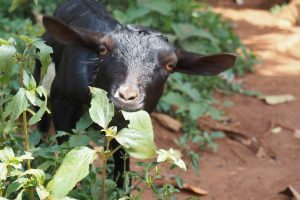 When a family’s new animal has its first offspring, the animal is donated back into the programme to go to another family in need. As part of the programme, families commit to giving back to help others. When an animal produces its first offspring, these are given back to the programme. The offspring can them be given to another family to provide support in the same way. So far, over 70 families have been given animals and are reaping the benefits. A Cow for Caleem and his Family. Caleem is a member of the PTA at one of the International Needs Uganda primary schools. Through sponsorship, both of his children were able to attend the school. One of them was been sponsored all the way from primary school and he is now in the final stages of training to become a school teacher. With the extra income Caleem makes from selling produce from his cow, he is now better able to support his family. Yet life daily life was still difficult for Caleem. 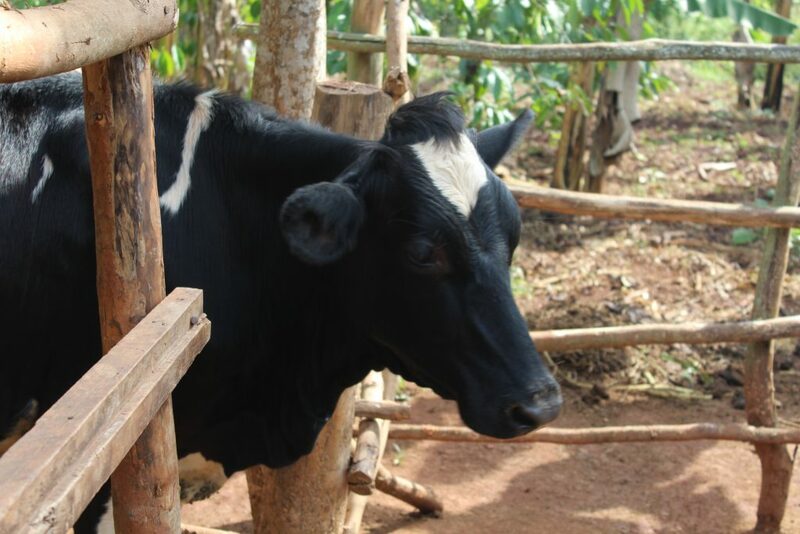 Through this programme, Caleem was given a cow. His cow produces an average of 20 litres of milk each day; providing his family with enough milk to drink, and also enough to sell to other families. By selling milk, Calleem is able to supplement his income. Caleem’s cow has already produced an offspring which has been given to another family. Where livestock is not the best support for a family, we also support families with tools, training and resources to supplement their income in other ways. One common example of this is through the provision of sewing machines and material. Prossy with three happy customers! With the support of IN Uganda, Prossy not only recieved support through sponsorship for her children but support to help her improve her own circumstance too! Read Prossy’s story in full on our blog. and I am a mother of seven children. I lost my husband in 2010 when my oldest child was in primary seven and my youngest was 1 year old. As a farmer, I had no stable source of income and could not easily meet the needs of my children. I tried to look for support from relatives but they were unable to help as they also had families to look after. God did it for me and I was identified by one of International Needs Uganda (INUG), who enrolled 4 of my children for sponsorship. Fortunately, all the children were found sponsors and this was a big relief to me. Prossy with three happy customers! 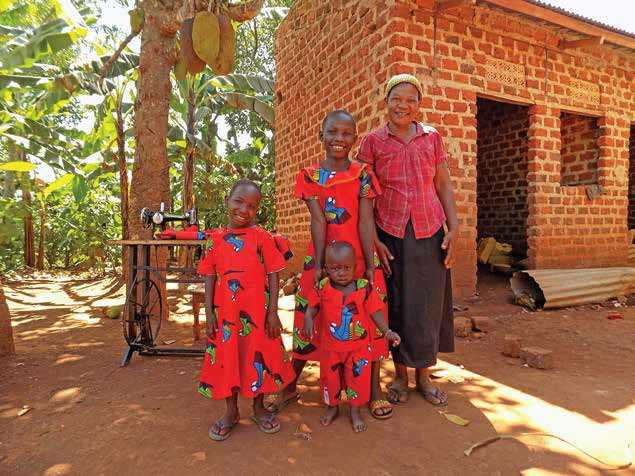 With the support of IN Uganda, Prossy not only received support through sponsorship for her children but support to help her improve her own circumstance too!